The Ashaway ZyMax 64 TX badminton string offers consistent, reliable performance and great elasticity. This multifilament string has a gauge of 0.64mm (22) and features BETA Polymer technology for maximum dynamic stiffness and repulsion. Exceptional tension maintenance is ensured by ZyWeaVe™ core and a proprietary textured coating increases control and provides even more stiffness. The string delivers optimum power and durability and comes in a 200m (660ft) reel. for submitting product information about Ashaway ZyMax 64 TX Badminton String - 200m Reel We aim to answer all questions within 2-3 days. 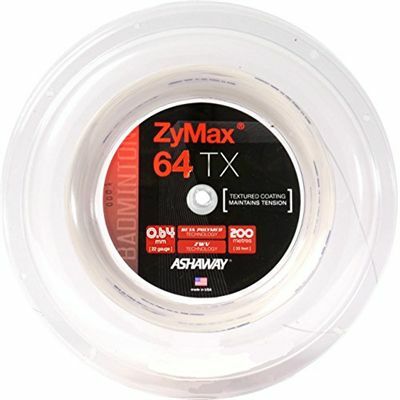 for submitting product information about Ashaway ZyMax 64 TX Badminton String - 200m Reel. We aim to answer all questions within 2-3 days. If you provided your name and email address, we will email you as soon as the answer is published. 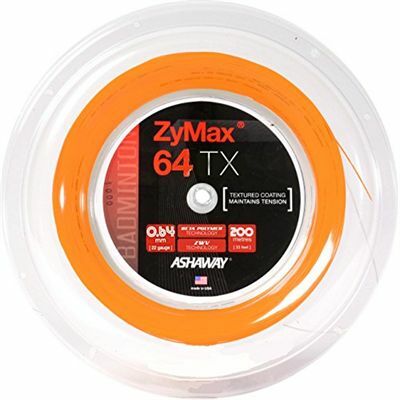 for submitting product review about Ashaway ZyMax 64 TX Badminton String - 200m Reel.